BURLINGTON, Ontario - May 17, 2018 - PRLog -- Kristina Johnston, Distinguished Toastmaster, a member of Port Credit Toastmasters in Mississauga has been elected as District Director, District 86 Toastmasters. The annual elections were held during the 2018 District 86 Spring Conference in Mississauga, Ontario. Johnston will lead the District Executive Committee that consists of various administration leaders, 61 area and 10 division directors. Johnston is also responsible for directly administering and overseeing the district's day-to-day operations, finances and human resources. "I have truly benefited from my Toastmasters journey and want to help others achieve their own goals and realize a growth that they never thought possible," said Kristina Johnston, incoming District Director, District 86 Toastmasters. "Together our growth will be exponentially greater than if we acted as individuals." She is now in the process of appointing the administrative leaders and area directors. Johnston, a Toastmaster since 2011, has taken on leadership roles at the club and district level. At the Port Credit Toastmasters Club, she was the Vice-President Membership in 2011-2012, Vice-President Education 2012-2013 and President in 2013-2014. Her leadership experience on the District Executive includes being an Area Governor in 2014-2015, an Area Director in 2015-2016 and Division L Director 2015-2016. Johnston was appointed the Club Coach Coordinator 2016-2017 and the Spring 2017 Conference Chair. She is currently a Club Mentor for Oakville Toastmasters, a new club chartered in April 2017. 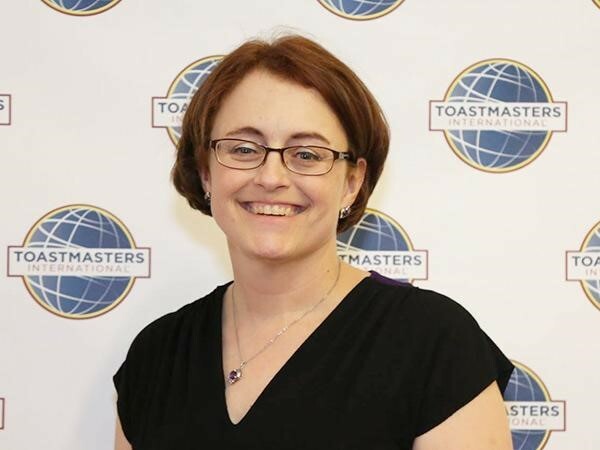 In addition to Toastmasters experience, Johnston has nearly 15 years in sales and marketing. The District 86 Council elected other leaders for the 2018 – 2019 Toastmasters year. Johnston is joined by Distinguished Toastmasters Jacklyn Payne, Program Quality Director and Jocelyne Vezina, Club Growth Director.